Yet the true test will come this weekend, when they face off against two of the top three teams in the Valley: the University of Northern Iowa and Drake University – a team that has only lost one conference game since 2016. Third-year coach Kate Achter faces the challenge of keeping a relatively inexperienced squad on the level. Attention to detail and player development over the long run for the Ramblers has shown out in a few key categories The team is ranked 14 in the nation in free throw percentage (3 in the MVC), and sophomore forward Abby O’Connor is tied for ninth in the NCAA at 91.7 percent from the charity stripe. The Ramblers are also second in the conference in both field goal percentage and 3-point field goal percentage, as well as number one in defensive rebounding, second in blocked shots, and fourth in assists. Since coming off a tough road trip at the end of January where they dropped back to back games against Southern Illinois and Missouri State, the Ramblers have tried to shift back into the identity that Achter has emphasized. These ebbs and flows of a season are not a rare obstacle for young teams like the Ramblers. Out of the 4,000 minutes played on the court so far by the Ramblers, 3,134 (roughly 78 percent) have been played by underclassman. Guard Tiara Wallace is the only upperclassman that has started every game for Loyola and she is flourishing in her role as the steady veteran and the coach’s voice in the locker room and on the floor. As the attention shifts to this weekend, and the team buckles down and hosts two tough games at home, Achter has the team unified and fostering an underdog mentality. And she has had no qualms in being straight with her players and the media about what the goal is in the now. 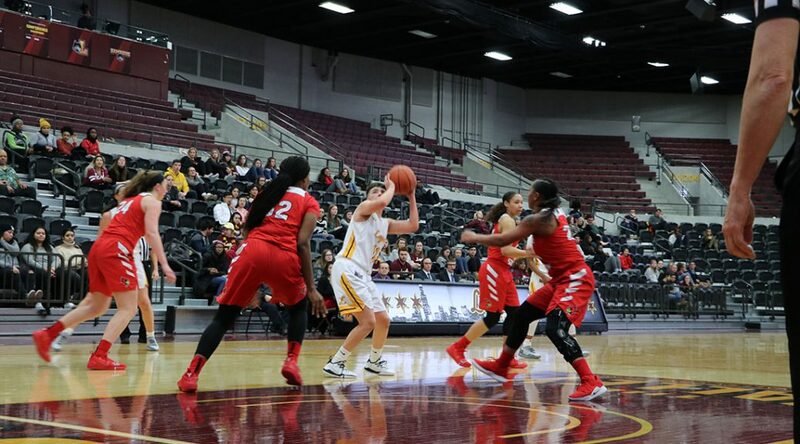 Ignoring the outside noise and stressing the details have proved to be the right mantra as the Ramblers find themselves in a prime position coming down the stretch of conference play. Now the question shifts to how far this identity can take them. Previous PostUIC women’s tennis maps a global trajectoryNext PostNight of the Ace: Who will step up as Northwestern’s Friday night starter?